Located off Murfreesboro Road, the Henley Subdivision is a single-family home development in Franklin TN (Williamson County). Properties in Henley Subdivision are built along Band Drive. 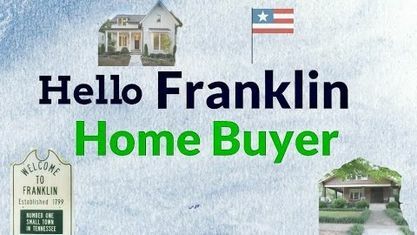 Other popular Franklin Subdivisions near Henley Subdivision include Buckingham Park Subdivision, Charlton Green Subdivision, Cobblestone Court Subdivision, Historic Franklin Subdivision, Ewingville Subdivision, Forrest Crossing Subdivision, Heath Place Subdivision, Maplewood Subdivision, Ralston Row Subdivision, Ridgemont Place Subdivision, Royal Oaks Subdivision, Stratford Place Subdivision, Sturbridge Pointe Subdivision, and Yorktown Subdivision. View our selection of available properties in the Henley Subdivision area. Get to know Henley Subdivision better with our featured images and videos.